The perfect mix of fashion and storage, the Caxton Storage bed is a stylish and comfortable bed, upholstered in Brown PU Leather, and includes ample storage space underneath to hold bedding, clothes or anything else. Bed lifts up from the right-hand side only and reveals a large storage area underneath. 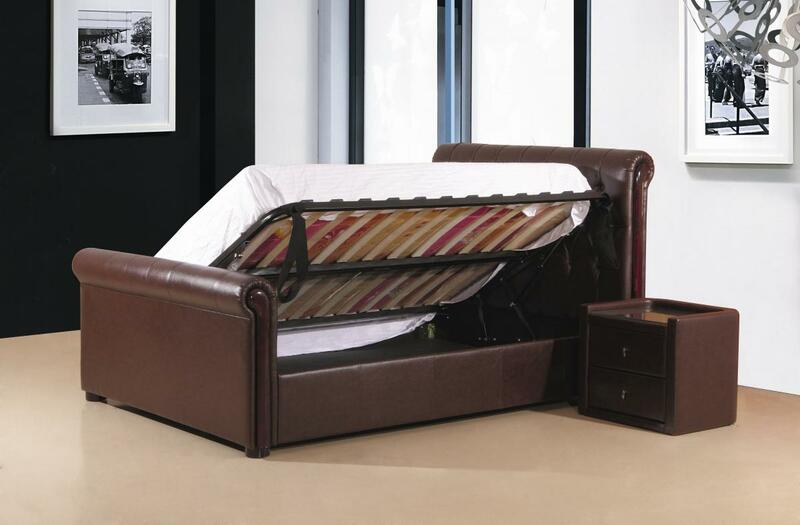 Also available in King Size for a larger bedroom that requires even more storage.